Shaheen Dewji, radiological scientist in the Center for Radiation Protection Knowledge within the Environmental Sciences Division at ORNL. Having begun her career at the lab in the nuclear nonproliferation and radiation safeguards area, Shaheen Dewji is leveraging her expertise to help expand the work of the Center for Radiation Protection Knowledge (CRPK)—a unique organization led by Oak Ridge National Laboratory (ORNL) that focuses on preserving expertise in radiation dosimetry. As a radiological scientist in the Environmental Sciences Division (ESD), Dewji wants to ensure that legacy expertise and capabilities at ORNL are retained and shaped to serve today’s growing need for radiation protection. Her work guides everything from worker exposure to dosing for medical patients to applications spanning the nuclear fuel cycle, nuclear medicine, emergency response, national defense, and space exploration. Most recently, she and her colleagues in ESD’s Human Health Risk and Environmental Analysis Group worked to update federal guidelines on radiation dosimetry, which were about 25 years old. The work leveraged the latest science and computational capabilities at ORNL to develop dose coefficients, relating radiation exposure or uptake to how much energy is deposited in the body and how that radiation is retained and excreted as it moves through the body. Dewji employed Monte Carlo radiation transport codes—software used to simulate nuclear processes like particle interactions—to compute radiation transport in models of the human body. Radiation deposition in the body was computed from external environmental sources, as well as internal organ sources. These efforts support updates of the U.S. Environmental Protection Agency’s guidance reports on exposure to radionuclides in the environment. Other work Dewji has spearheaded includes using radiation transport codes to compute the dose to members of the public from patients having received radioiodine therapy as part of nuclear medicine treatment—for instance, hyperthyroid or thyroid cancer therapy). These data and models inform domestic and international guidance and recommendations in radiation protection. Research in the health physics field to date has largely focused on higher-dose interactions, she noted. Dewji wants to connect the dots on the risk of radiation. “Our challenge is to identify the risk from the most fundamental interaction of radiation in the body—for example an alpha particle interacting with a strand of DNA—to the associated risk of this interaction as compounded health effects, like cancer. We are essentially trying to solve our own Grand Unified Theory,” she said. The CRPK was formed by an agreement between ORNL and five federal agencies in 2010 with the aim of preserving US capabilities in radiation dosimetry and ensuring federal radiation programs are based on the best available science. The memorandum of understanding was renewed in 2015 and now represents the majority of radiation protection stakeholders in the federal government under the Interagency Steering Committee on Radiation Standards. The work that underlies most of the world’s radiation protection guidelines began in ORNL’s Health Physics Division in the 1950s. The modeling and data ORNL provides guide important work such as radioisotope use in nuclear medicine, nuclear plant worker safety, emergency response, nuclear defense, environmental remediation, and fuel production for long-range spacecraft. ORNL’s dosimetry model has even been used as a forensic tool to estimate the amount of polonium-210 that had been used to poison a victim. “This expertise is vital to maintain our capabilities in the US to meet federal research, energy, and defense missions,” Dewji said, noting that the CRPK team “represents a unique capability not duplicated anywhere else in the country.” She began working with the center at ORNL in 2014. Dewji was first introduced to the field of nuclear security and safeguards in a series of internships with the Canadian government and with a health physics company in Germany while earning a physics degree at the University of British Columbia in Canada. She later attended the Georgia Institute of Technology for her graduate studies, earning master’s and doctoral degrees in nuclear and radiological engineering while minoring in international affairs. 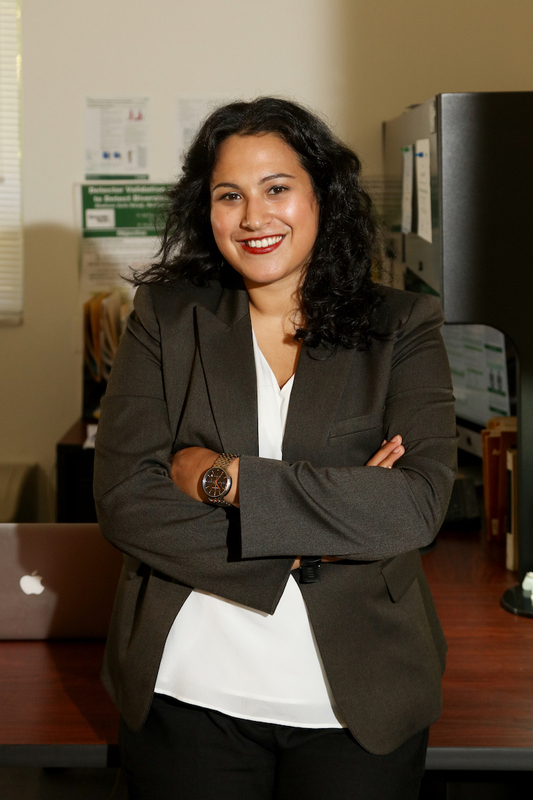 Dewji got her start at ORNL as a graduate student performing nuclear security modeling research in the Nuclear Science and Engineering Directorate; she later worked in nuclear safeguards and security technology research before taking up safeguards in a full-time staff position. The energetic researcher credits her upbringing on a farm in British Columbia for her strong work ethic. “You cannot sit down until all the work is done on a farm, and that work is never done,” Dewji said. That maxim holds true for Dewji today as she balances her research, her advocacy for the CRPK, mentoring students at ORNL, her work on national and international standards committees for radiation protection and measurement, and her service as chair and vice chair for two divisions of the American Nuclear Society. “If I am not working on 200% capacity, then I feel I am being underutilized,” Dewji said. 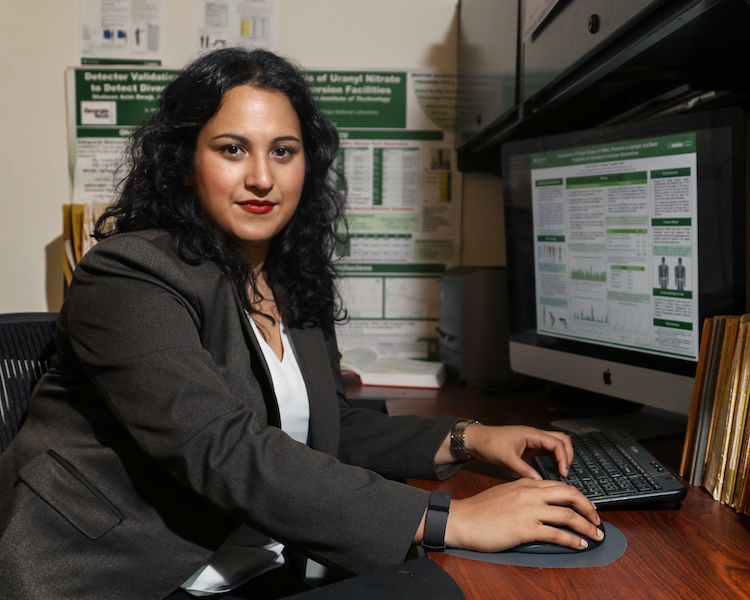 The work of Dewji and her colleagues on the federal dosimetry guidelines was recently recognized by a Science Serving Society award within the Environmental Sciences Division. “Our workshop focused not only on the dire need to attract more students to this area but also on what the purely scientific drivers should be going forward in radiation protection research,” Dewji said. Dewji says she would like to become a strategic and scientific leader in the upper echelons at ORNL. “What gets me excited is bringing people with different capabilities together to deconstruct knowledge barriers,” she said. “What incredible innovations would ensue if we, for example, brought together experts in nuclear data, in biology, and experts on our [CRPK] team in a marriage of minds? I would love to see us do more with our crosscutting capabilities and lay a foundation for sustainable crosscutting research to solve our Grand Unified Theory. “I am interested in seeing how I can make my mark on ORNL, because it has certainly made its mark on me,” she said.